If it’s spring (nearly summer! ), why am I still drawing like it’s fall? I always have a hard time figuring out just what to draw. It’s like I expect to still get school assignments and have someone guide me. 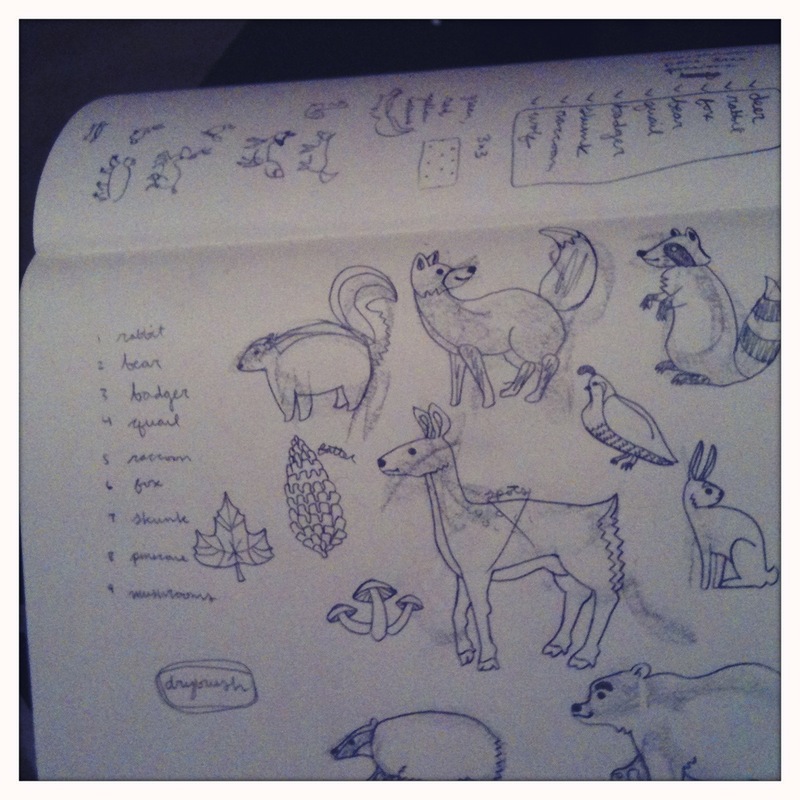 Anxious about the fact that by not drawing for myself, I’m getting rusty, I went with my old favorite- little woodland creatures. And I couldn’t leave it at that, so I worked them into a simple repeat. Next hurdle: getting back into painting. I’m done with ink- let’s get summery and start using color! Caitlin, I love the swatch above! Is it just in design or will you print? Can’t wait to see your summer ideas. Just a design for now! 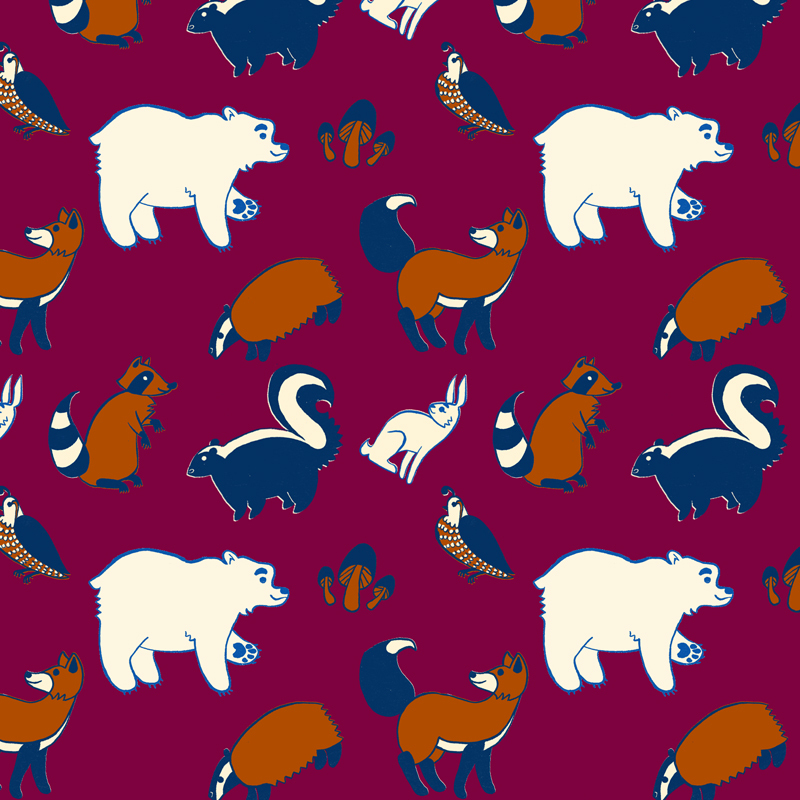 I uploaded it to Spoonflower, but I have to buy and approve a swatch before I can make it available to anyone else. Thanks! Haha, thanks! I’m toying with the idea of printing it on fabric, but wrapping paper would be cool too!